Are you planning to attend? Share Pensacola VegFest with others! 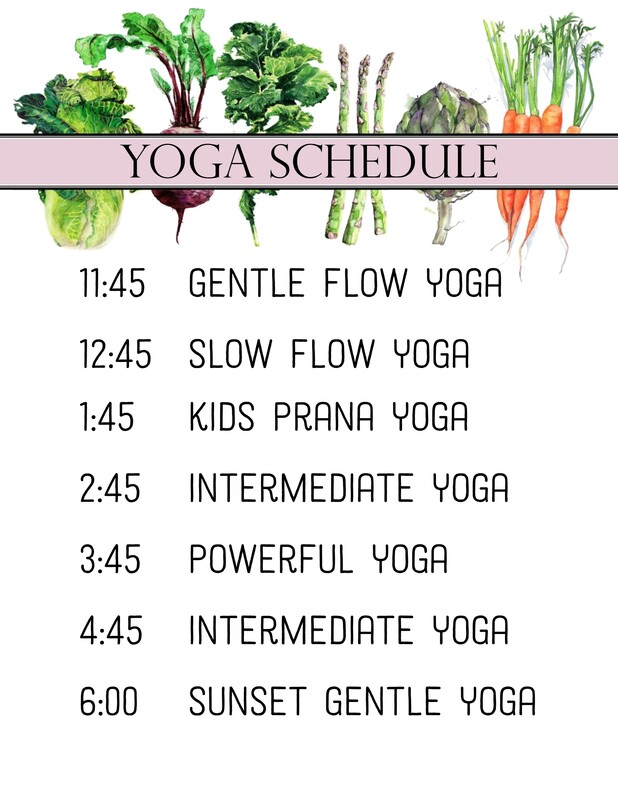 Click here to Download the Speaker Schedule and Yoga Schedule. Daniel Austin is a nationally competitive power lifter, member of the international Vegan athletic team known as PlantBuilt and Vegan of 13 years. 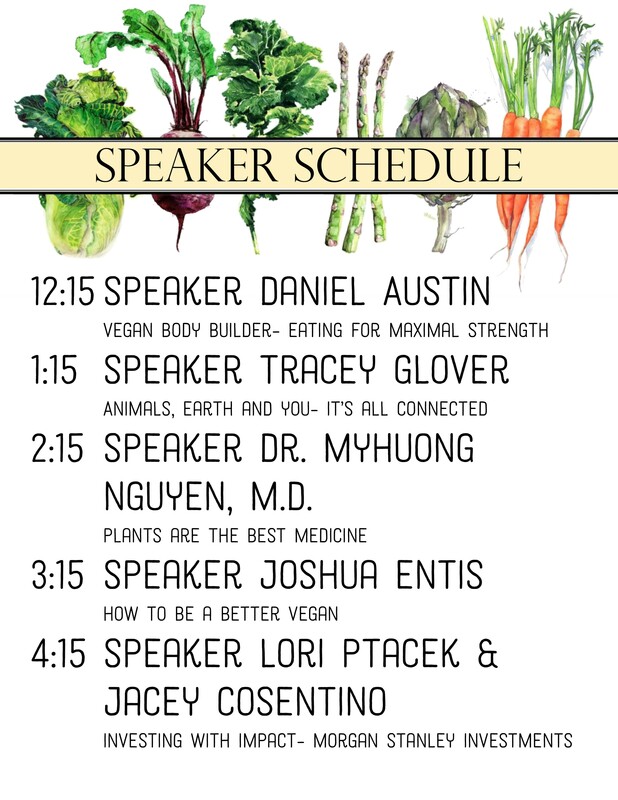 Come meet the Vegan Meathead! Author of The way of the Vegan Meathead: Eating for Strength as he teaches us how to formulate a high protein Vegan diet for maximum strength. Tracey Winter Glover, JD is a former rescue and cruelty officer with The Humane Society of Huron Valley, MI. She graduated from Phi Beta Kappa from the University of Michigan, where she obtained her undergraduate degree and later her Juris Doctor. After practicing health care law in Washington DC for 8 years, she moved to Mobile Alabama, where she ran a vegan meal delivery business for 8 years and co-founded the intersectional animal rights group Awakening, Respect and Compassion for all Sentient Beings". Tracey is the author of the book "Lotus of the Heart: Living Yoga for Personal Wellness and Global Survival" published by Lantern Books in 2016. She is the adoring guardian of 10 cats 3 dogs and 8 chickens. All rescues, of course. Please join Tracey as she explains why going Vegan is the best thing we can do for the animals, the environment and our own health because after all, it is all connected and WE are all connected. Come meet MyHuong! She is a local plant-based emergency room physician. She will be discussing how eating whole plant based foods, free from all animal products (eggs, meat, dairy) can sustain and promote health at all ages and reverse chronic illnesses. MyHuong received her Bachelor of Sciences at UF, MD at Johns Hopkins School of Medicine, Residency in Emergency Medicine at LSU Charity Hospital, but finally was enlightened by reading the China Study by Dr. T Colin Campbell and studying other works by similar minds like Caldwell Esselstyn, Neal Barnard, John McDougall, Garth Davis, Joel Kahn, Michael Greger and Baxter Montgomery. All physicians leading the scientifically proven plant-based nutrition revolution.You are not going to want to miss this one. Come hear her speak to see how you can transform your health eating a whole foods plant based diet. Come meet Joshua Entis as he asks is there more to being Vegan than we think? How do we as individuals make a difference? For most people, Veganism begins as a diet choice, allowing them to experience a range of health benefits. But, is Veganism even about health? Have we been allowing the inherent selfish nature of human beings to force us to believe what we have been told? Joshua's journey started out this way, and over the last 2 years his mission has been to help others define what it means to be Vegan, build confidence and take mass action for the animals by tapping into the true potential within. Veganism is more than a diet choice, it is an ethical framework, that when followed, will change the world. Join Joshua, animal rights activist, organizer for Anonymous for the Voiceless and The Save Movement, on his Change Makers Tour and see how we can personally make a difference in creating a different world. Join Morgan Stanley financial advisors Jacey J. Cosentino and Lori Ptacek for their talk on Investing with Impact. Creating positive economic, social and environmental impact, their goal is to familiarize others with the topic of Impact Investing and to provide those interested with a framework for taking action to harmonize your portfolio with the change you hope to see in the world. What to expect at Pensacola Veg Fest? Cooking Demonstrations Learn how to make vegan food. There will be free food samples too! Speakers Listen to speakers regarding different aspects of veganism. Food Sampling Many food vendors will be providing vegan/plant-based vegan food. Local Vendors Enjoy local vendors and try their vegan products. Get a list of what their company has to offer for the vegan community. Kid Friendly Activities Children can have play in a bouncy house and other kid friendly activities. Alternative Medicine Local Chiropractors and Masseuses will be present for your enjoyment. Music Enjoy live in between speakers. March 29 - April 1, 2019. Special Discount: Rate not available online. You must call them directly to get the discount. Book 30 days prior: You must book the room 30 days prior to event to receive discount. Centrally located: Centrally located near many vegan restaurants and 1.3 miles from the festival. Pensacola VegFest: Please let the reservation desk know that you are attending Pensacola VegFest to get this discount. Beachfront Property: This is a water front property on the Gulf of Mexico. Pensacola VegFest: Please let the reservations department know that you are attending Pensacola VegFest to get this discount. Located off I-10: Easy access when traveling from out of town. Early Bird Pricing has been extended! The cost to participate as a vendor is $150.00. If you plan to provide samples only , then it is $75.00. Non-profit organization are free. Sponsorship are $300, which includes vendor entry and logo on most marketing materials. Click here to Download Rules and Vendor Entry Form and Speaker/ Presentation Application. You can with with your credit card. Please be sure to email (PensacolaVegFest@gmail.com) your Entry Form with your credit card payment! Booth / Space Reservation Vendor application shall not become binding between vendor and Pensacola Veg Fest until: 1. Vendor fills out and submits the application 2. Fees have been paid to Pensacola Veg Fest 3. Application is vetted, and approved by Pensacola event organizer 4. Notification of acceptance or denial will be by mail or email within 7 business days of the application. 5. If denied, you will be fully refunded. Food vendors Will be required to show proof of current License and Health Certificate before setting up for this event. Like Businesses Pensacola Veg Fest will make some effort NOT to have multiple same product exhibitors participating at this event. Pensacola Veg Fest reserves the right to limit or accept the number of vendors providing similar type products or services.​ It is the vendor's responsibility to inquire about this. Cancellation / Refund Policy (other than weather) If vendor notifies Pensacola Veg Fest of their cancellation before Midnight on February 15, 2019, a refund will be made. If notice of cancellation is given after February 15, 2019, no refund will be given. Deadline Deadline has been extended to Midnight on March 1, 2018. Cost $150.00 per vendor unless providing free samples only. If you are only providing free samples, then it is $75.00. Non-profits are free. Sponsorship is $300, which includes the cost of a vendor entry and your company logo on most marketing materials. Event hours Community Maritime Park will be vacated no later than 9PM on Saturday. We will open at 8:30AM Saturday for vendors only, 11AM general public. Tear down Tear down starts on Saturday at 7PM. Vendors responsibility is to remove EVERYTHING that was brought in. Vendor leaves area cleanliness will be as you received it. YOU MUST WAIT UNTIL THE FESTIVAL IS OVER TO TEAR DOWN! Weather Concerns Should any contingency interrupt or prevent the holding of the event, including weather, Pensacola Veg Fest shall in no way be liable to the Vendor. Fees / payments to Pensacola Veg Fest cannot be refunded, as they are distributed prior to the event for liability insurance, facility / operating costs, supplies, marketing / promotion, and other event related expenses. Space Vendors will receive a 10’ x 10’ space and are responsible for their own tent, tables, and any other materials that they think are necessary for the event.